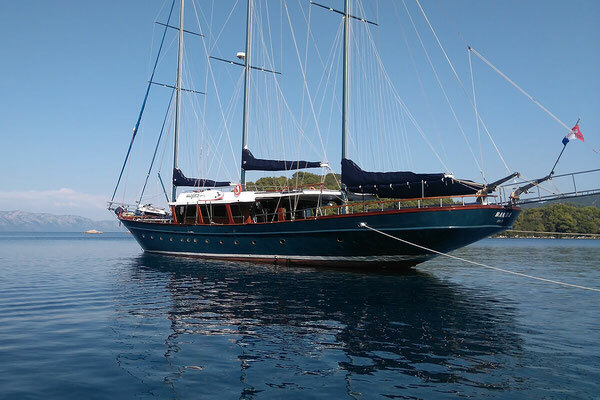 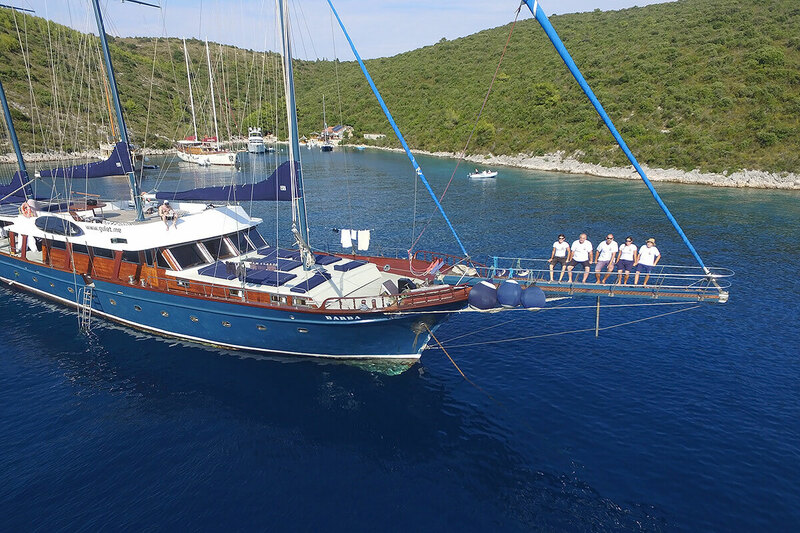 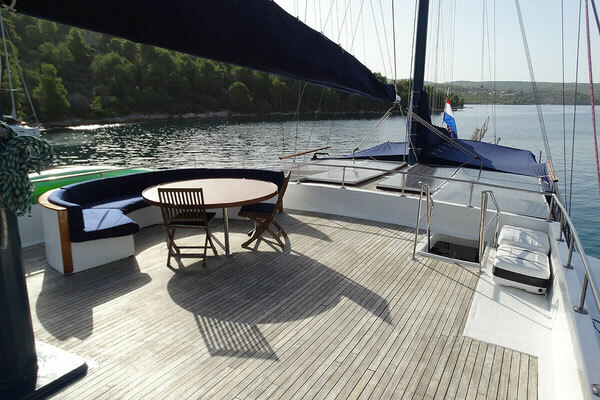 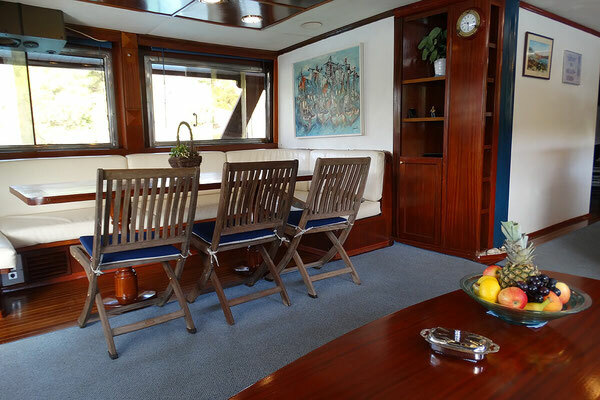 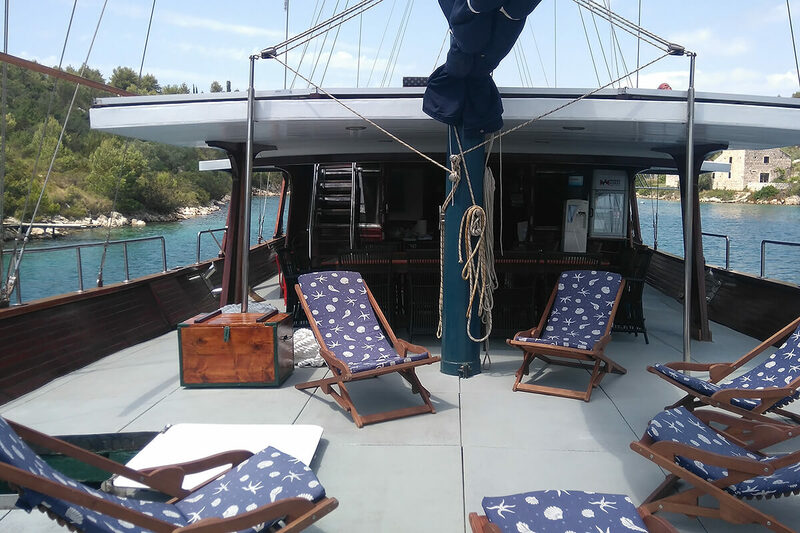 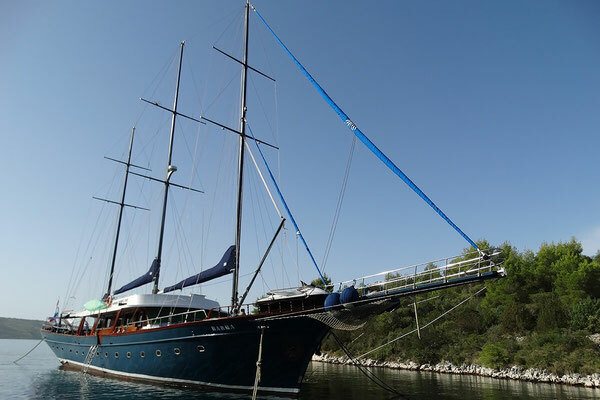 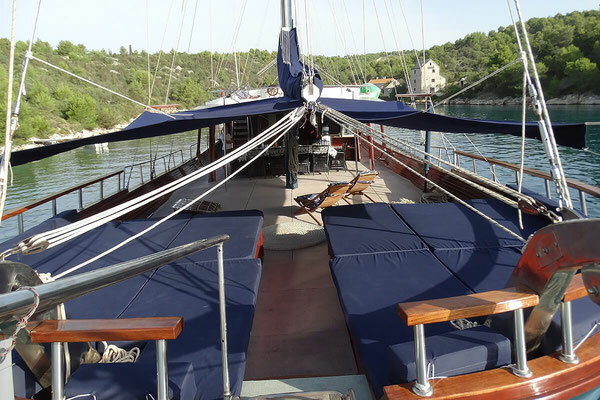 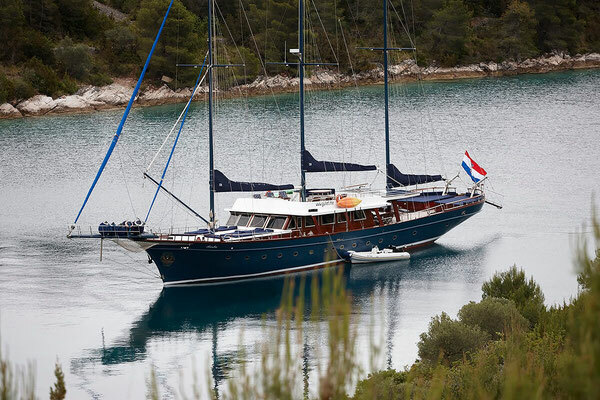 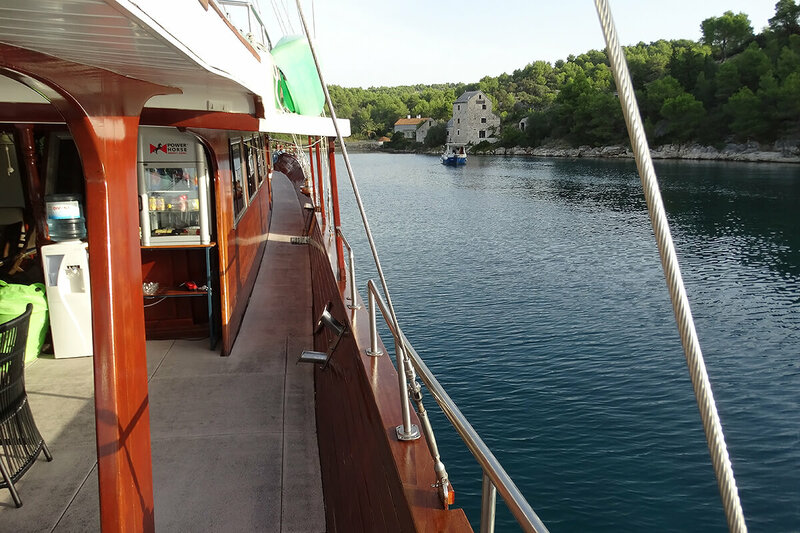 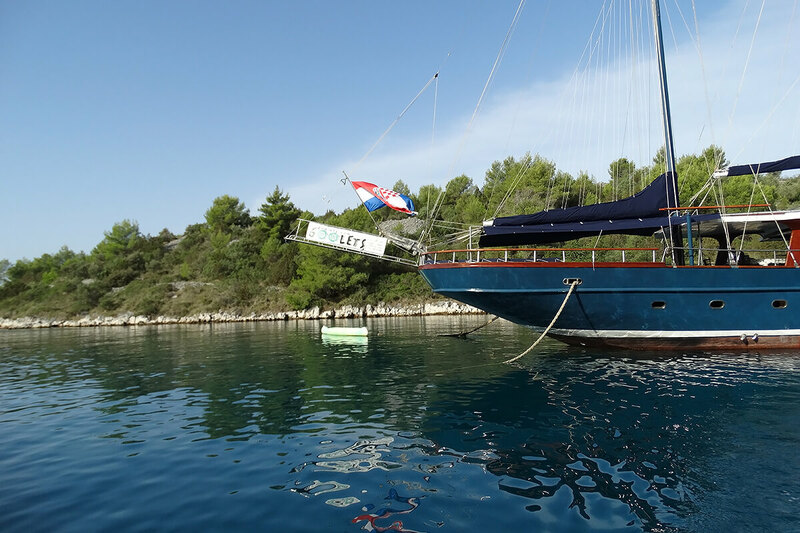 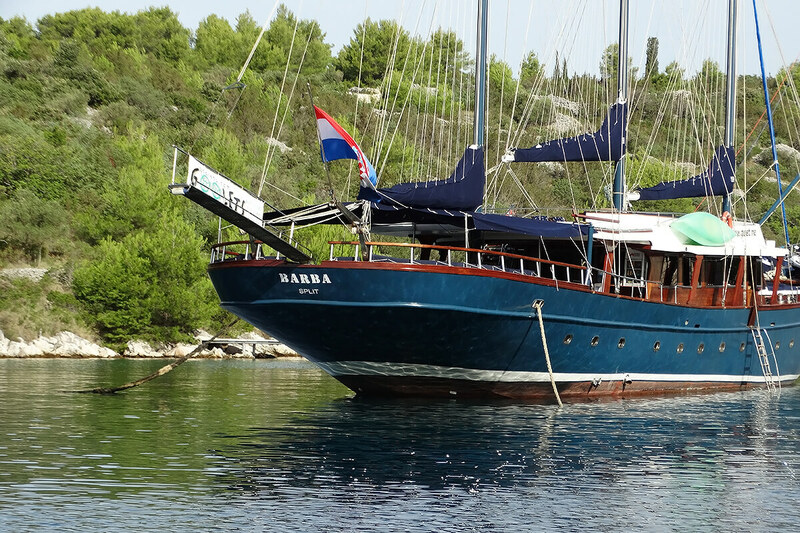 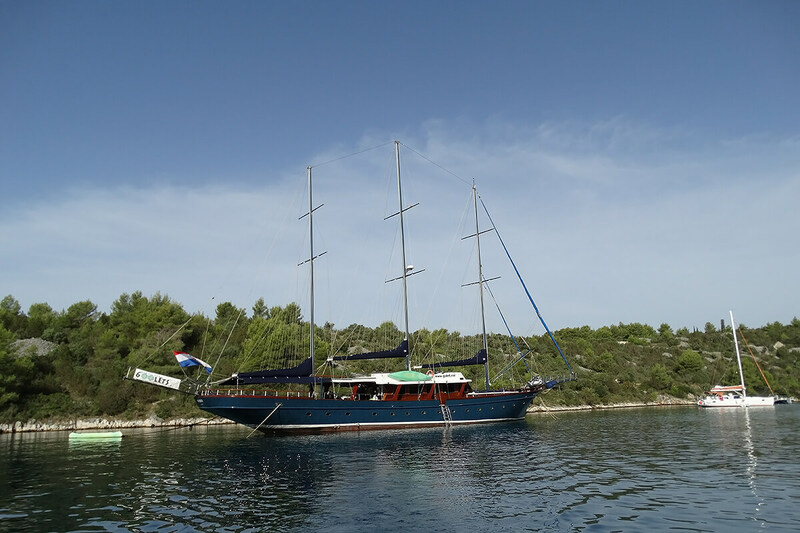 Unique, comfortable and spacious gulet Barba you will remember long after your trip. 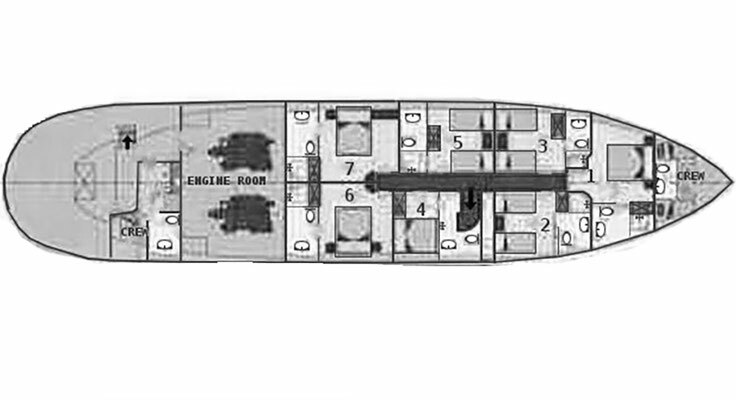 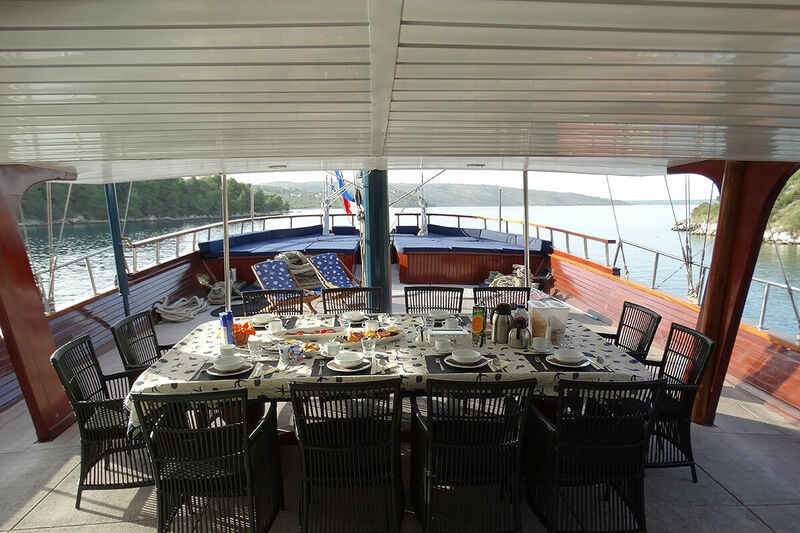 What makes it special are two large decks divided into two levels. 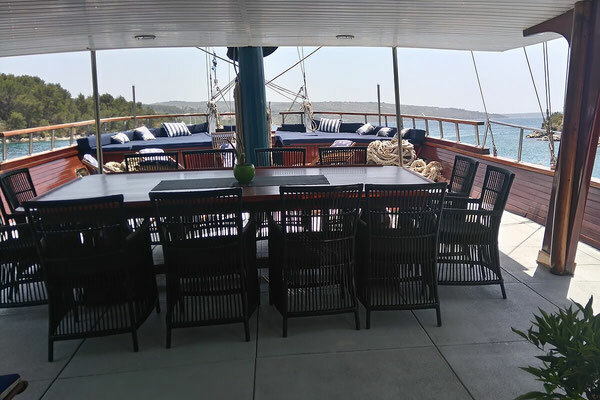 On the back is a large table and sunbathing area, and on the upper level is round table and circular cushioned seating area, and another area for sunbathing. 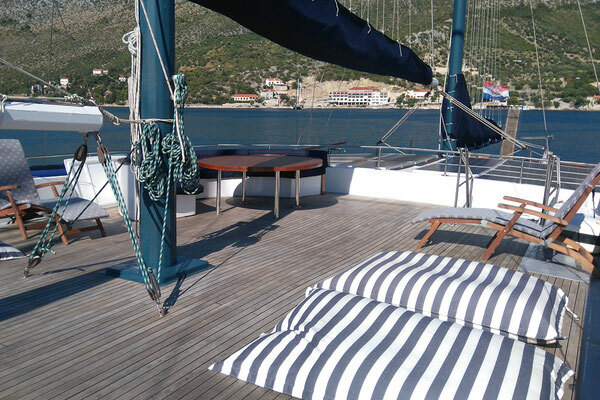 The front deck has mattresses for sunbathing. 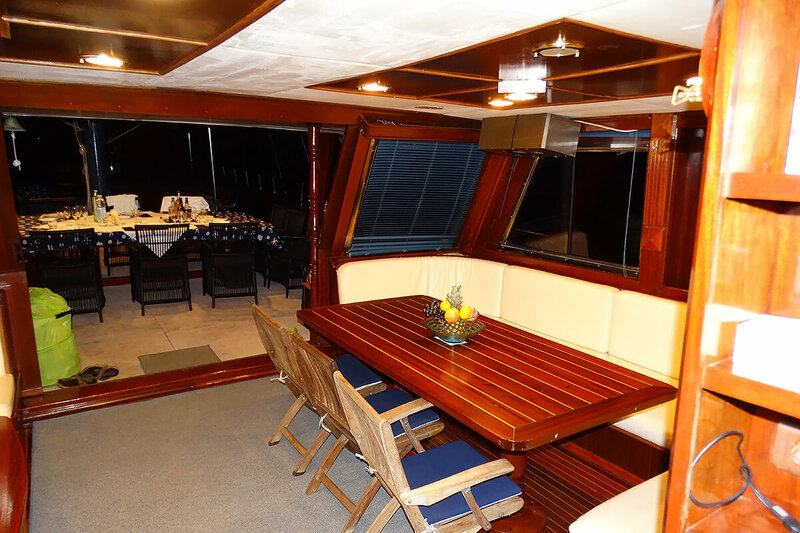 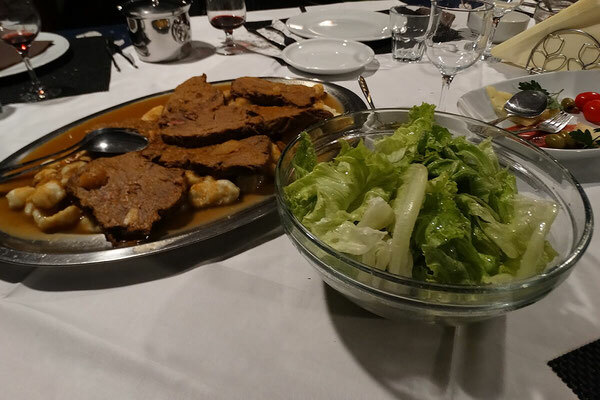 The air-conditioned lounge at the table can accommodate 12 persons using the fully equipped kitchen, TV+DVD, MP3, PC and Wi-Fi. 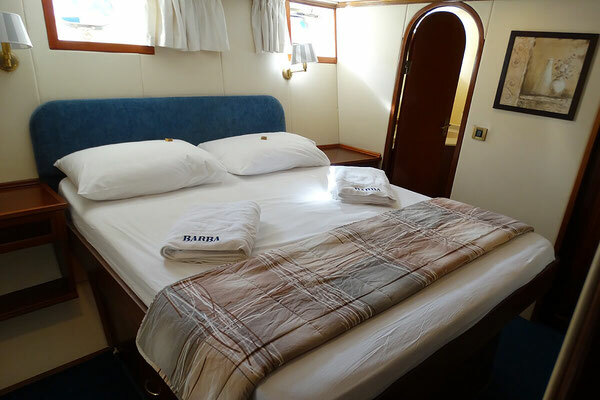 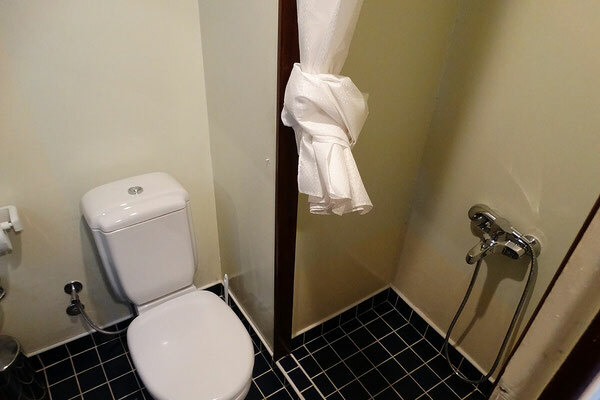 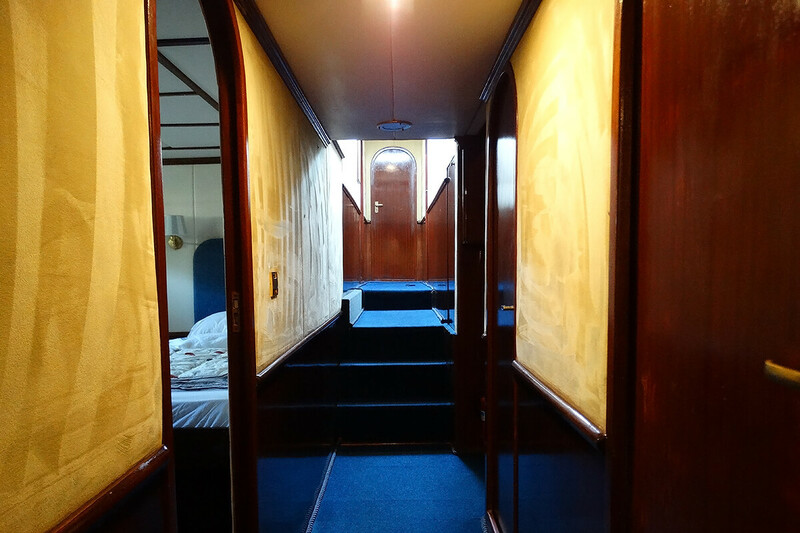 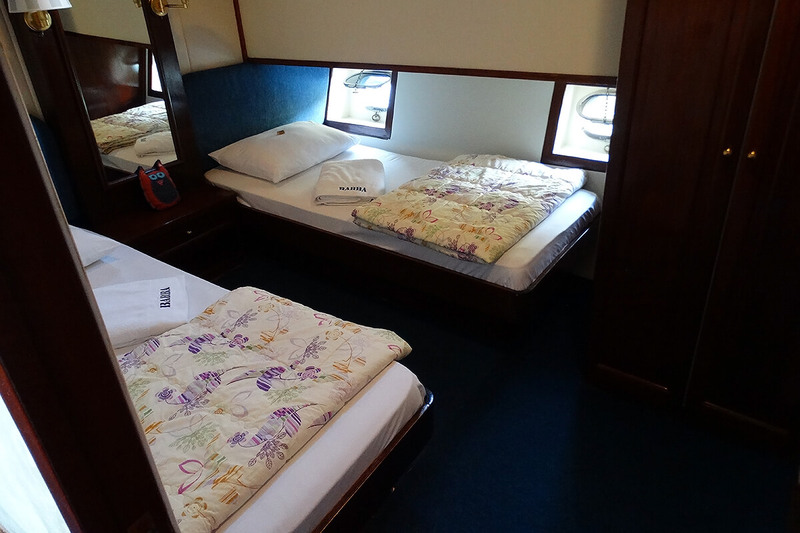 Six comfortable cabins with air conditioning and en suite bathrooms are filled with blue details: one master cabin, two also with a double bed, and three have one bed. 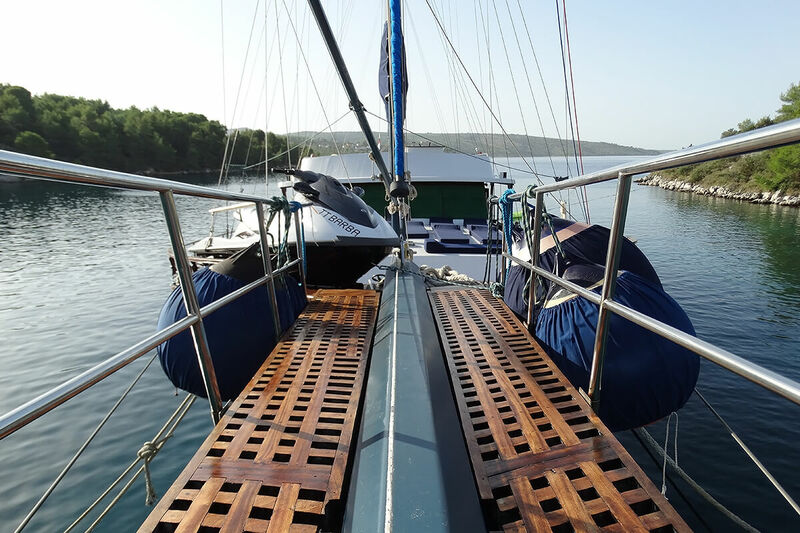 There you have the canoe, bicycle, Jet Ski, equipment for water skiing and paddle board. It is possible that you will not even use it because funny, communicative and experienced crews will steal all the attention of yours. 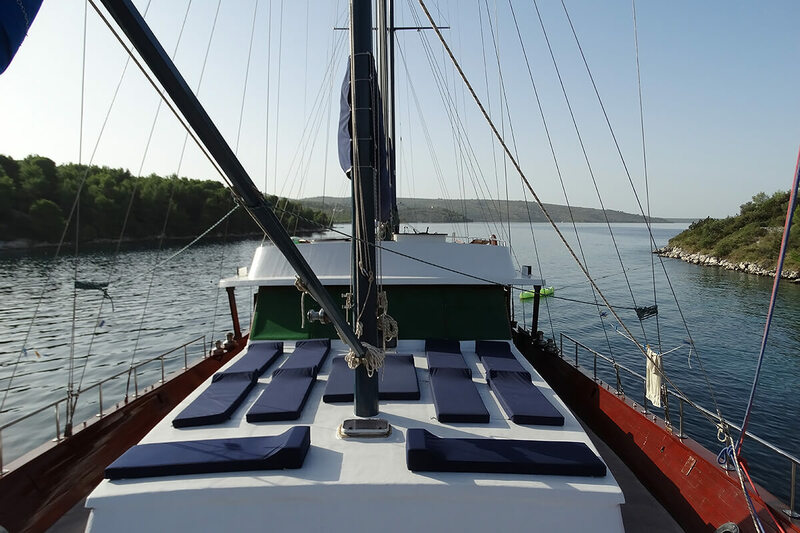 Moreover, add the beauty of our coast and you will have a dream vacation!